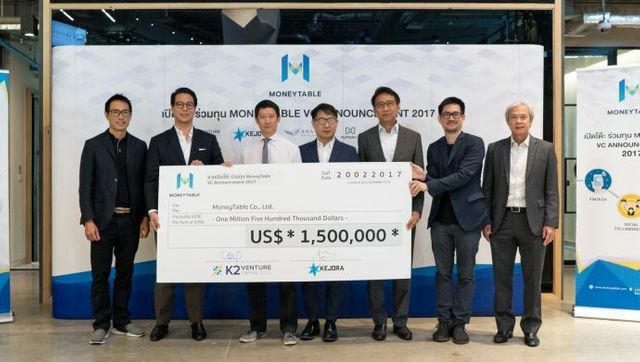 Bangkok based fintech/human resources startup MoneyTable has raised $1.5m in Series Seed funding led by K2 Venture Capital and Kejora Ventures. MoneyTable describes its product as a combination of fintech, human resources management, and security. The MoneyTable platform allows employees of a company to explore personal financial options with ease and safety. In an e-mail to e27, the startup explained that it is aiming to secure one million customers by end of 2017. To achieve its goals, MoneyTable partners with several companies and individuals. “We are partnering with strategic partners who can help us grow quickly in the space that we want to be in. For example, we are partnering with Humanica, a HR software firm with over 300,000 subscribers which overlaps the same customer target as we do, to expand our customer base,” a MoneyTable spokesperson explained. Some of its partners include Ananda Development and its Ananda UrbanTech incubator programme, as well as Loxley PLC.